Contains all the necessary gaskets and O-rings to rebuild your top end. 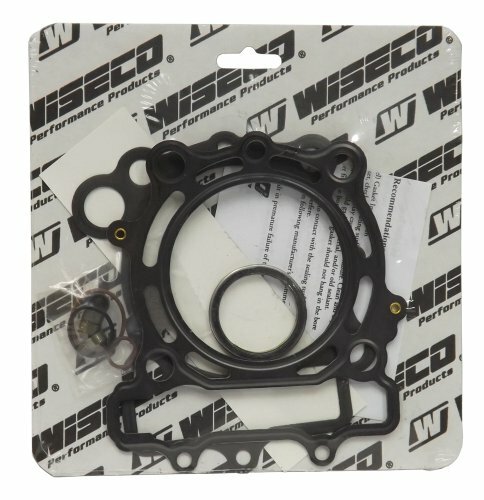 Wiseco gasket kits are made from the highest quality materials and engineered by Wiseco to insure compatibility with Wiseco pistons and crankshafts. Each gasket kit is sourced in-house to find the most reliable, high quality suppliers available. Ensures a critical seal and superior durability that meets and exceeds OEM specifications. Fits: Yamaha SRX600 1984-87, Tenere600 1984-87, XT/TT600 chrome bore all, XT600 1984-87.